Urban Health team and the Mental Health Recovery Network. The initial Cadre project was funded by the Clover Moore Lord Mayoral Salary Trust and was aimed at continuing to address the range of mental health needs and issues in social housing concentrations and surrounding communities. A project reference group directed the development of this package. Acknowledgements and thanks go to the members of the group. Thanks to Dom Grenot for assistance in the development of this resource. careful custodianship of the land on which we live, work and play. 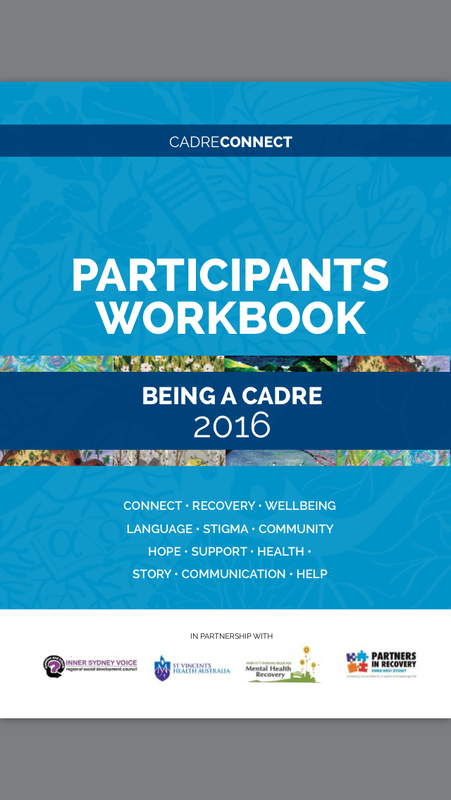 This training is general in nature and gives a broad overview of the mental health sector. This training package will not provide you with the skills to give psychiatric advice.